Some of the world’s most famous gemstones are star sapphires. These remarkable stones display a rare asterism, whereby needle-like inclusions reflect and scatter light to form a mesmerizing six-rayed star. These legendary sapphires include the Star of Bombay and the Star or India, both worth millions of dollars. The rarity of star sapphires makes them near impossible to obtain, but we’ve found a way to recreate the stone so perfectly that it’s chemically the same. The Starstruck Ring features a cabachon with the exact same deep blue beauty and wispy asterism as those revered stones. 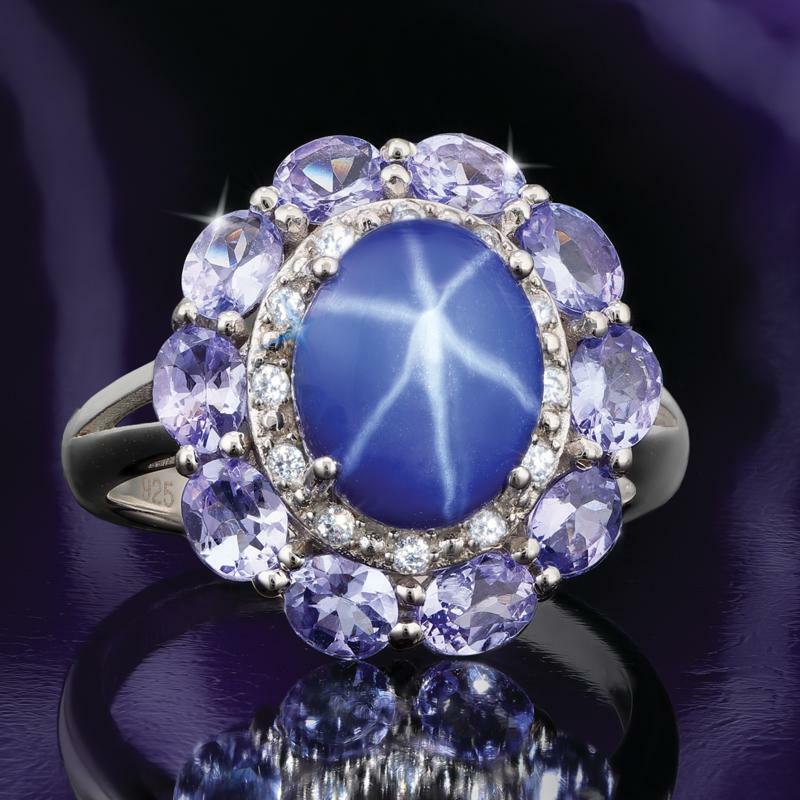 We’ve surrounded a three-carat Scienza® star sapphire with 10 tanzanite gemstones––.the magnificent violet-blue gem that’s rarer than diamonds. And, for the perfect finishing touch we added a sprinkling of DiamondAura® stones. The Starstruck Ring looks and feels like it should have one or two commas in its price tag. Instead, it has none. Because our aim is to bring high-end looks to you at prices that make sense, the Starstruck Ring is priced $99. When she wears this luxurious ring for a shockingly low cost, you’ll both know exactly how it feels to be Starstruck.